06.20.2017: Monster Music Monday, the Episode? June has been quite the month at the Kaijucast HQ, but the dust is settling and I can finally sit down and put this together. 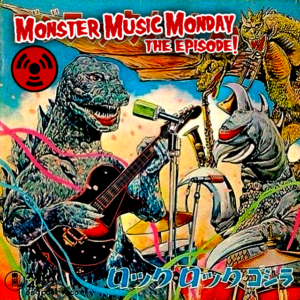 Cobbled together on a Monday, posted on a Tuesday and most subscribers probably will listen on Wednesday, perhaps? Big things are afoot, listeners – so stay tuned! There are still a couple of days left for you to send in your homework for Gorgo (1961) if you wish to do so. Just make sure to submit your thoughts, questions and reviews before June 23rd to be included in the episode. 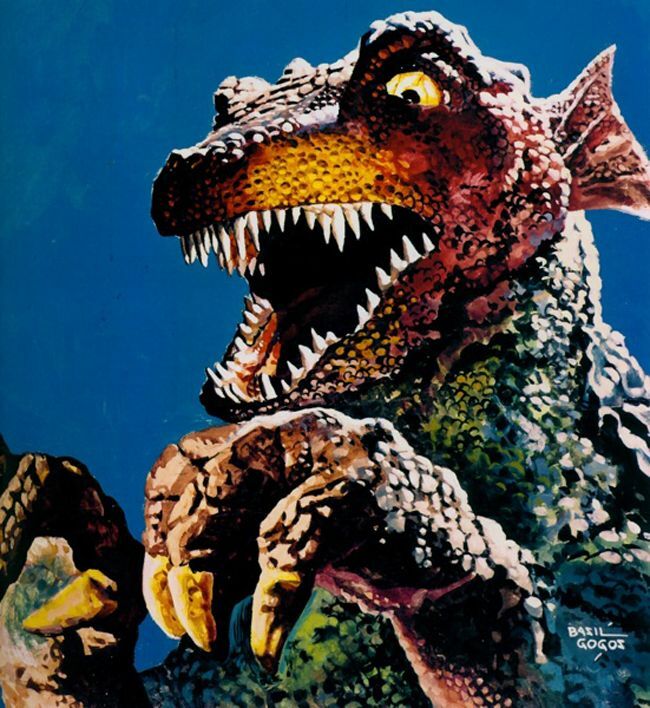 If you’ve forgotten what Gorgo looks like – or if you just need an excuse to ogle an awesome piece of art, here’s Basil Gogos’ gorgeous painting of the beast!